Trent Alexander-Arnold, Jordan Henderson and Georginio Wijnaldum will all undergo late fitness tests ahead of Saturday’s meeting with Bournemouth. Liverpool have been without Alexander-Arnold for their last three league outings due to a knee issue, whilst Henderson and Wijnaldum were both unexpected absentees for Monday’s draw at West Ham due to muscle and knee problems, respectively. 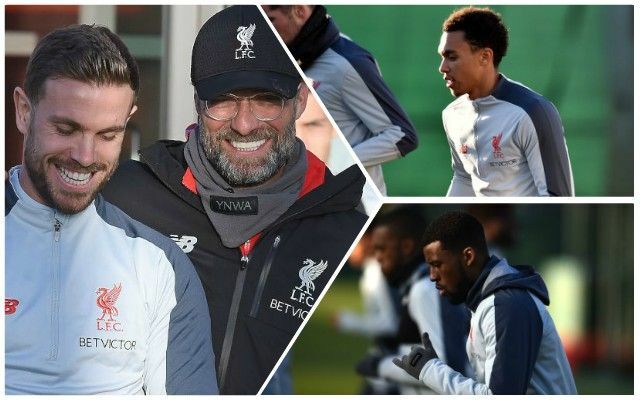 The trio’s return to full training marks welcomed relief for Jurgen Klopp amid a sticky patch fuelled by disruptive injuries across the pitch. It would come as no surprise were Alexander-Arnold to retain his starting spot immediately, with Klopp often hailing the right-back’s tendency to heal quickly in the past. His return would be valuable in restoring some familiarity at the back, not to mention providing Liverpool with another key attacking outlet. Both Henderson and Wijnaldum would also be in contention to feature if fit having been dearly missed during the Reds’ clash at the London Stadium.